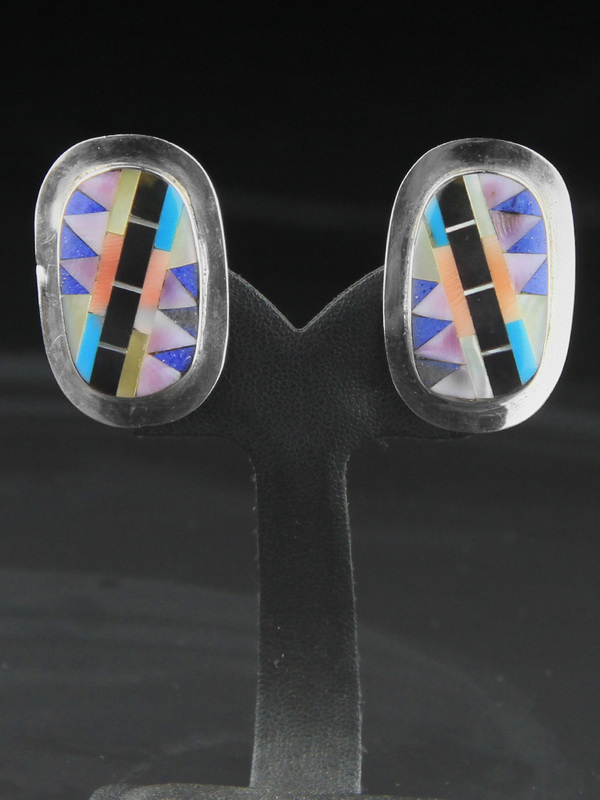 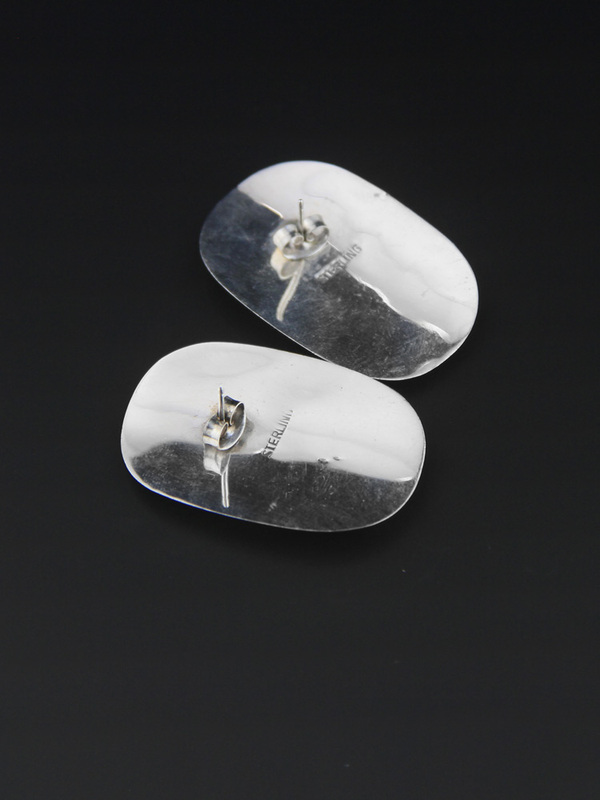 Sterling silver stud earrings, handmade circa 1980s, these are Native American made in a fantastic geometric mixed stone inlay. 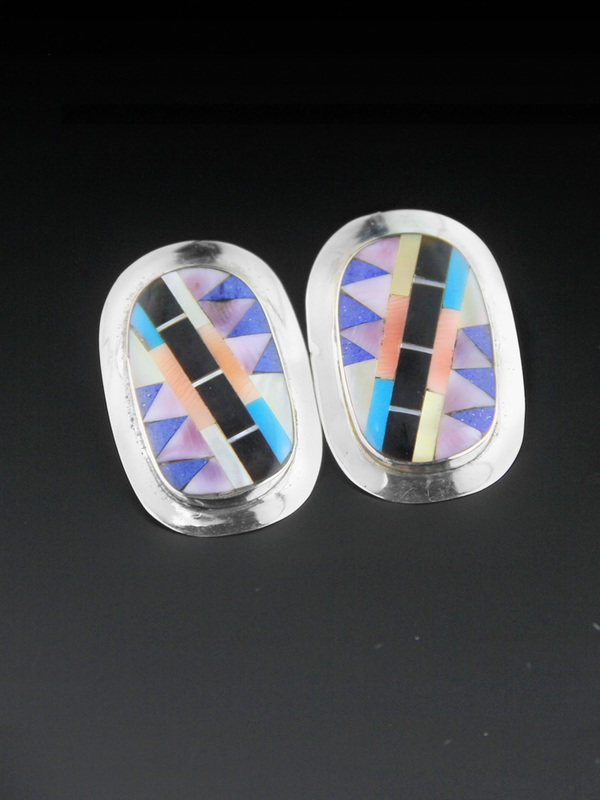 Mixed stones + shell inlay of turquoise, onyx, spiny oyster, mother of pearl in a gorgeous pastel palette. 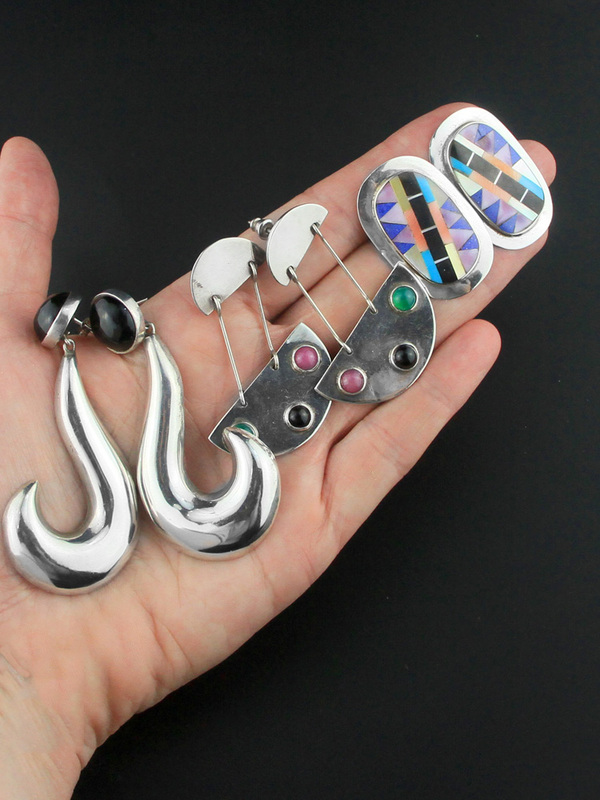 These are a large earring but light and easy to wear, great statement earrings, Listing is for single item, last pic is to give an indication of size only.